Charlotte Morgan is in need of some Christmas spirit. No one special to share the holidays with. Moving back home to Mustang Creek because her beloved aunt is moving to an assisted living center. Charlotte worries that the holidays will be blue, blue, blue. As fate would have it, a certain man is moving back to Mustang Creek, as well. A man that Charlotte sparked with in a major way- Jaxon Locke. 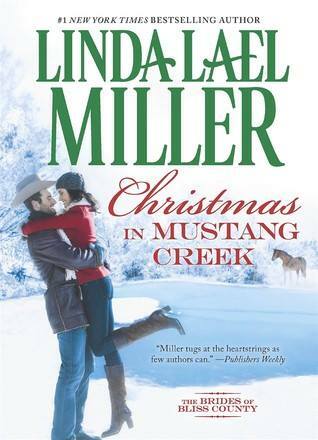 With a little help from Aunt Geneva’s friend, Mrs. Klozz, will these 2 see that they are perfect together and that life can be both what they want in Mustang Creek? Listen, there is no surprise to this book. You know that Jaxon and Charlotte will wind up together in some form or fashion by end of book. You don’t pick these type of books looking for a plot twist. But that’s what I LOVE about them. Linda’s Bride of Bliss County series has me feeling like I’m welcoming new and old friends into my life each time I read a book. We hear from the former characters- the past brides and all their happiness- and we know that Charlotte will become a part of the group. Final Thoughts: Perfect book to curl up with on a cold day or when you need a book that has a sweet feeling about it to make your day brighter. Hot cocoa, while nice, is not mandatory with this book- but it couldn’t hurt. Ha yeah, I read this and laughed at her name, a great Disney story. But I still enjoyed it. Nice Christmas read.